Eating healthy in the Parks isn’t always easy. Snacks, treats (and those smellitizers) beckon us nearly from the moment we step off the tram. And with no nutrition information available, it’s difficult to know just how many calories you’re truly consuming. So what’s a health-conscious (or dieting) Park-goer to do? Well, you’re in luck. I’ve spent years researching the snacks, treats, and food options at Disneyland (it’s a tough job, but somebody had to do it! ), and I’ve discovered which meals and snacks are actually pretty darn low-cal, and even – dare I say – healthy. I also found which ones are absolutely terrible for you. The answers are surprising. Let’s talk today about one of my favorite treats: ice cream. I mean, who doesn’t love ice cream? Well, let’s start with the bad, and move on to the good. Bad news: basically ANY ice cream from any vendor is going to pack on the pounds. From the high fat content, to the loads of sugar, it really doesn’t fit into anyone’s diet plan. An average ice cream treat from The Golden Horseshoe or Gibson Girl is going to run you in the neighborhood of 700 calories or more! For most people, that’s nearly half your entire days caloric needs! Kind of depressing, huh? I can hear many of you saying, “Disney with no ice cream just won’t be the same!” Well prepare to have your spirits lifted. There is one clear exception to the no ice cream rule. And it’s so surprising, so shocking really, that I almost didn’t believe it myself. Not only is there a sweet, creamy, frozen treat at the parks that is actually healthy, it’s practically an institution of its own. This treat may be the one food most beloved by all Disney goers. And it’s fair game for your diet. What is it? 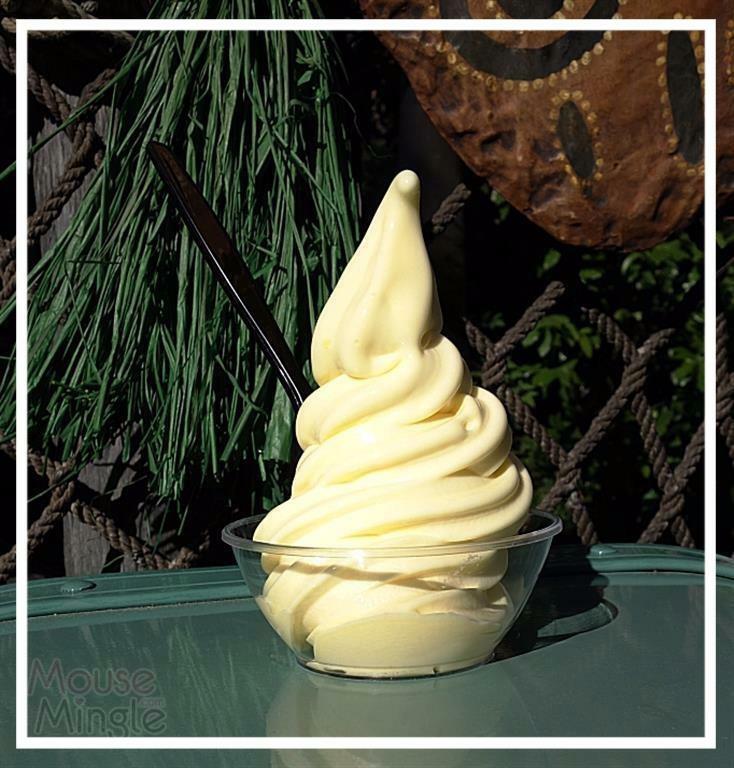 It’s none other than the amazing, the tasty, the comes-with-its-own-singing-bird- show (drum roll please)… the Dole Whip! That’s right folks. Weighing in at just 93 calories, this dairy free, sugar free treat is one you do not have to feel guilty for eating. Honestly, 3 rapid cycles through Tarzan’s Treehouse will burn it off. One caveat: this does NOT include the Dole Whip Float (add another 150 calories and tons of sugar in that pineapple juice.) Nor does it include having your Dole Whip Captain Jack style (ala “But why is the rum gone?“). One ounce of rum (and who only uses one ounce) has 65 illegal-at-Disneyland calories. When you ad 130 calories worth (2 ounces) and 150 calories of pineapple juice to this 93 calorie treat, you are hovering near 400 calories. Unless you are counting it as your lunch, it’s a no no. So there you have it folks. The good, the bad, and the fattening. Let’s all get down on our knees and thank Walt Disney that there’s an ice cream-like treat you can feel free to enjoy! …and who doesn’t love the Tiki tiki tiki tiki tiki Room? 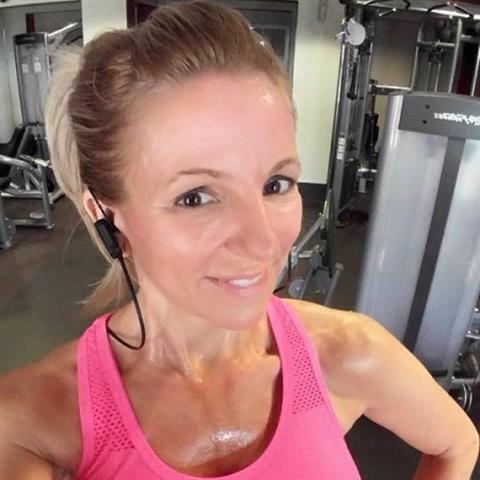 Amy is a long-time Disney fan, and a health and fitness coach. She’s run more than 20 RunDisney events, and has gone to Disneyland at least once a week for the past several years.